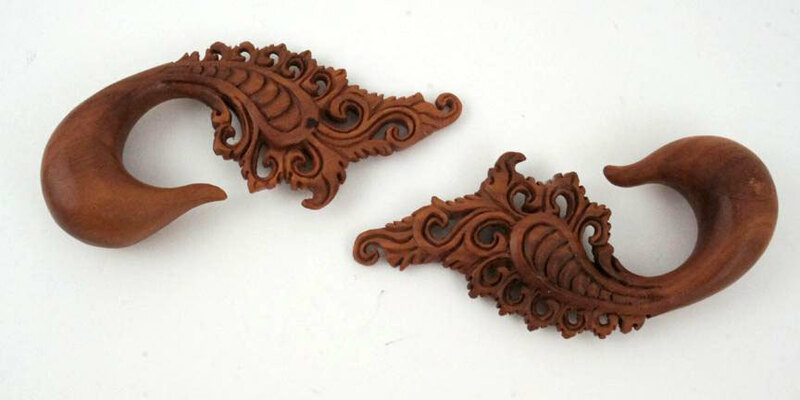 This pair of organic gauged earring hangers is intricately carved into a floral paisley design. The hand crafted ear gauges have a long tail so they will hang down from the ear. 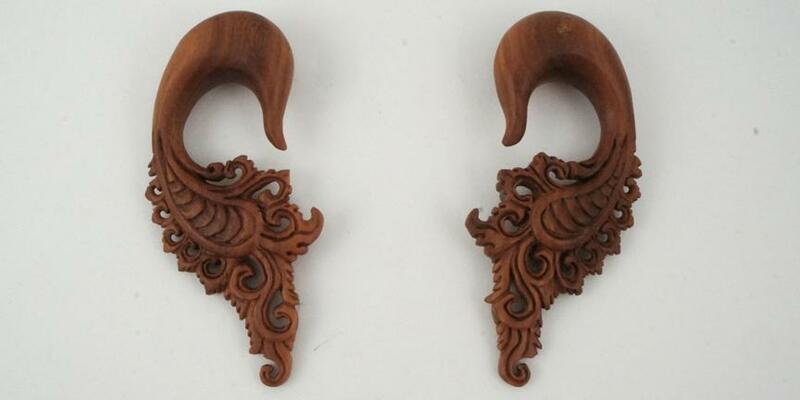 Carved from sawo wood they have a beautiful grain and natural sheen. As with all of our gauged earrings we try to carry most of the popular gauge sizes, but if you don't see your size listed please feel free to contact us or check back later since we're constantly restocking or adding new sizes and styles to our line.